We’d love your help. 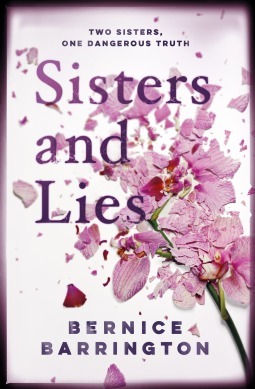 Let us know what’s wrong with this preview of Sisters and Lies by Bernice Barrington. To ask other readers questions about Sisters and Lies, please sign up. Siaters and Lies by Bernice Barrington was an enjoyable read with a good, if not original, storyline. Contains loads of suspense, family drama’s, mystery but just too repetitive at times and a little bit too twee. The characters are well drawn but I found Rachel in particular a very frustrating character. A successful career person who was well travelled, determined and very capable yet on the other hand, made ridiculous hasty decisions and buried her head in the sand for most of the story. Overa Siaters and Lies by Bernice Barrington was an enjoyable read with a good, if not original, storyline. Contains loads of suspense, family drama’s, mystery but just too repetitive at times and a little bit too twee. The characters are well drawn but I found Rachel in particular a very frustrating character. A successful career person who was well travelled, determined and very capable yet on the other hand, made ridiculous hasty decisions and buried her head in the sand for most of the story. Overall I enjoyed the read and a good debut novel by Bernice Barrington. I look forward to future Novels by this author. My thanks to Penguin Books for the opportunity to read this Novel in return for an honest review. The story in this book is a well thought out plot, its full of suspense, mystery and family drama, however, the downside to me was the repetitiveness of some things that did grate on my nerves at times as I saw no need to keep going over the same things, a reader has the vision and memory to remember such events or happenings, afterall, reading is about memory. That being said, the characters in this book were strong, well thought out and developed and the author did a fantastic job in making them appear real to me. Rachel's sister is in a coma following an 'accident' and certain events that happen within the story just doesn't compute with Rachel so she is determined to uncover the truth. Whereupon she also finds out the her sisters life is totally different to what shes been told. On the whole this was a great interesting read for me. A phone call we all dread. Someone you love has been in an accident and clings on to life in a hospital bed. A heart-stopping moment that usually leads to unanswered questions, uncovered secrets and discovery of truths. This is Bernice Barrington's debut novel and it starts with a bang. Rachel's story is revealed from the start, with day by day accounts of her quest to find out the truth about Evie's accident. Meanwhile, the reader is drip-fed Evie's side of the story. She has a hidden life. Her boyfriend knows nothing about her sister, her sister knows nothing about a boyfriend. Why the need for secrecy? Sisters and Lies is both tender and harsh, mysterious and sweet, nostalgic and filled with hope. A good story that kept me turning the pages, never fully guessing what was going on. Sisters and Lies was well done, especially the psychological thriller aspect of the story. Evie and Rachel both had chapters told from their perspective, which made everything more chilling, as Evie was in a coma for most of it! Rachel had a lot going on at once, and dealing with the aftermath of her sister's accident definitely didn't make any of it any easier. The choices she needed to make were still there, but everything got an urgent feel to them, and she was unable to fully trust her instincts and her gut-feeling because she was so worried about Evie. As the story of Sisters and Lies unfolded, the readers were brought into the sisters' past as well as sharing their present with them. I enjoyed getting to know both Evie and Rachel, and especially Evie's past made me want to bring her into a soft embrace and hug away all her hurt and sadness. Rachel's present was tough to read about as well, as she was having a lot of success in her professional life as a writer, but not so much in her personal life, as her marriage was falling apart. Added to all that stress was the fact that she had to stay in London to be able to visit Evie every day, and that instead of Janet, Evie's roommate, there was a guy living in Evie's apartment. A boyfriend she had never heard about. A boyfriend who thought Evie was an only child. While still in a coma, Evie was trying to piece things together, just as Rachel was in the world of the living. But she was unable to find any help - the police thought Evie had tried to commit suicide, the boyfriend had no idea what was going on, and Janet hadn't seen Evie in months. But Rachel was sure there was more to the accident than what the police thought - there were too many things not adding up about Evie's secrecy between the boyfriend and the rest of her life. Well written, Sisters and Lies kept me engaged from start to finish, and I found Evie's point of view to bring so much to the story, even if she was static, just sharing her thoughts. And I especially loved the strong bond between two sisters who thought the other didn't really like them all that much. Evie, my beautiful mixed-up Evie. How the hell could this have happened? But then it dawned on me. This day had been coming for a long time. Had, perhaps, always been coming. And I had done nothing to prevent it. "The truth will come out, Rachel. It always does." "Hmm," I said half-heartedly, as she headed for the door. To be perfectly honest, I never found that to be the case. Sisters and Lies is a great combination of family drama, mystery and romance – the mystery element feeding into the rest, with some great characters and an intriguing vibe throughout. Rachel is desperately trying to uncover the truth behind the accident that put her Sister into a coma – meanwhile in the hospital, Evie is alert within her own mind and struggling to make sense of it herself.. There is a lovely flow to this – as we hear from both Rachel and Evie, start to understand something of thei Sisters and Lies is a great combination of family drama, mystery and romance – the mystery element feeding into the rest, with some great characters and an intriguing vibe throughout. There is a lovely flow to this – as we hear from both Rachel and Evie, start to understand something of their personalites, it is compelling stuff – and as to the main plot, that which may or may not have happened to Evie, this unfolds at a great pace and allows the author to explore themes of bullying, mental health and family dynamic. I liked the romantic elements – the things that set Rachel at odds with her husband, the way Evie feels about herself that flows out into all her relationships – the mix of this type of drama on top of a “whodunnit” if indeed anybody did, makes for a great read. Sisters Rachel and Evie are not as close as they could be, especially following their mother’s death and it is only after Evie is involved in a car crash and lying in a coma that Rachel realises there is so much about her sister’s life that she doesn’t know. The more she delves into Evie’s life, the more lies and secrets she uncovers – it was unclear whether Evie was even driving the car at the time. Nobody seems to know what happened and the police seem to be unconcerned about any suspicious ci Sisters Rachel and Evie are not as close as they could be, especially following their mother’s death and it is only after Evie is involved in a car crash and lying in a coma that Rachel realises there is so much about her sister’s life that she doesn’t know. The more she delves into Evie’s life, the more lies and secrets she uncovers – it was unclear whether Evie was even driving the car at the time. Nobody seems to know what happened and the police seem to be unconcerned about any suspicious circumstances. Whilst Rachel is trying to find out what really happened, Evie, from her hospital bed, is desperately trying to recall her memories of the time leading up to her accident; she may be unable to speak or to move but she can sense people around her, hear conversations and is alert to danger. Gradually, from seeing past and present events from both points of view, we get a more rounded and detailed insight into Evie’s life and the suspense builds up. The two sisters have very different personalities and both have their personal issues to deal with. I found myself becoming more sympathetic to Evie, being the more fragile and vulnerable of the two. Rachel was capable and very determined in her quest to find out the truth, although there was something about her manner that grated on me a little, she seemed too quick to jump to conclusions and didn’t give people the chance to explain. This was a very intriguing and accomplished debut from Bernice Barrington. Having Evie narrate her own story, albeit whilst comatose, actually works quite well and although there are times when the story slows a little, the suspense still builds up as I wondered exactly what was going on in Evie’s life and who was telling the truth. I had my suspicions about certain people but with each new reveal and twist I kept changing my mind. Listened to in audio format. Author Rachel Darcy had just returned to Ireland after a book tour. Hours later she found out her younger sister Evie who lived in London had crashed her car and was now in a coma. When Rachel arrived in London she expected to stay in the house Evie shared with her best friend Janet. Rachel was shocked to find Janet no longer lived there and had been replaced by Rachel's new boyfriend entrepreneur Donnagh Flood. Rachel had only been out of the country for a few weeks an Listened to in audio format. Rachel had only been out of the country for a few weeks and Rachel never mentioned she had a new boyfriend. She spoke to Janet and found out that she moved out after Evie made a pass at her boyfriend whilst drunk. Janet painted a picture that was unlike the Evie she knew. This 'other' Evie took drugs and drank heavily and was extremely hedonistic. Rachel was worried that things don't add up and decided to investigate what happened to Evie whilst she was away. Meanwhile Evie was comatose but knew Rachel was there and was to trying to speak her. From the POV of Evie she described how she was bullied by one particular boy at school which still affected her self esteem. Evie described meeting Donnagh and how their relationship developed and finally her car accident. 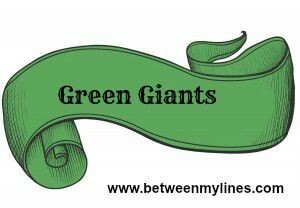 Green Giants is my feature where I share some of my favourite books by Irish Authors. I’m passionate about Irish Authors, they supply us with an entertaining and exciting mix of books, hopefully you will find something new to try. Today I'm featuring Sisters and Lies by Bernice Barrington which kept me up late reading and reading until I had uncovered every last twist! Sisters and Lies was a well-paced book set around two sisters who don’t know each other half as well as they think they. I always love books set around family dynamics as there is so much to relate to and add in some toxic elements and I’m sold! That’s pretty much the premise here and I was glued to it! From the very start, this book has an uneasy feel. Evie is in a coma in London and Rachel flies to her side from Dublin in a panic. But it’s all very troubling, as she finds that Evie has a boyfriend her sister never knew about and he didn’t know that Evie had a sister. The circumstances leading to Evie’s accident are as clear as mud and it’s all adding up to something very wrong. It’s told in dual POV – from Rachel’s point of view after the accident and from Evie’s point of view mid-coma but reflecting back on the events that led to this point. I was so hooked and couldn’t wait to unravel it all. I felt I guessed ‘the who’ early on but I really wanted to know the motive and that kept me in suspense for most of the book. I also felt that even though I suspected whodunit, that the lines were blurred enough that I could easily have been wrong. So I enjoyed guessing and second guessing myself. I also really enjoyed the character development in both sisters. I could understand what drove them both as their back stories were well-rounded and believable. Overall with lots of manipulation, lots of intrigue and characters that crawl into your psyche and make you want to uncover everything, this is getting a huge thumbs up from me. It’s an impressive first novel and I look forward to reading more books by Bernice Barrington in the future. Who should read Sisters and Lies by Bernice Barrington? I'd recommend this to you if you like psychological thrillers in a domestic setting. Also recommended for anyone who loves reading about family dynamics (especially sisters) and for those who love seeing just why a character is the way they are. It should also appeal to fans of Liane Moriarty, Melissa Hill, Tina Seskis and S J Watson. Thanks to Penguin Ireland for giving me a copy of this book in exchange for an honest, unbiased review. Rachel and Evie grew up in Ireland, but Evie is now living in London. When Rachel gets a phone call from the police she travels there straight away. Evie crashed her boyfriend's car and is now in a coma. Only Evie doesn't drive and Rachel thought she was single. Slowly she starts to retrace her sister's steps. She tries to find out more about her sister's life, so she can discover the cause of the crash. Evie had a lot of secrets and Rachel wonders how well she actually knows her sister. What ha Rachel and Evie grew up in Ireland, but Evie is now living in London. When Rachel gets a phone call from the police she travels there straight away. Evie crashed her boyfriend's car and is now in a coma. Only Evie doesn't drive and Rachel thought she was single. Slowly she starts to retrace her sister's steps. She tries to find out more about her sister's life, so she can discover the cause of the crash. Evie had a lot of secrets and Rachel wonders how well she actually knows her sister. What happened to Evie and will she ever wake up to tell the story? Sisters and Lies is a gripping story about two sisters who are very different. Rachel is the pretty, confident sister who knows what she's doing. Evie is insecure about her looks, about her talents and about relationships. They are beautiful women, inside and out. I loved how Bernice Barrington gives both of them a distinct and equally compelling voice. I'm a big fan of stories about sisters and this is a really good one. Rachel and Evie are intriguing main characters. Their relationship is interesting, they have plenty of secrets, but they've also got a close connection. Their thoughts and feelings are being described in a vivid way. There's a lot of depth and I loved peeling off the numerous fascinating layers. tried, tried hard.... could not continue. Might try it again some other time, might not. The Characters in this book were well thought out. Rachel's sister is in a coma following an accident the police seem to think it was an attempted suicide she drove into a wall at speed and the weather was good. While Evie is lying in a coma she tries to warn her sister of hidden dangers she can hear people in the room but can not protect herself or her sister. Rachel tries to piece things together but nothing makes sense. Good book full of twists and suspense good ending also. Thank you Netgalley th The Characters in this book were well thought out. Although slow at times and based on a seemingly ordinary plot, I really liked how this story built and dragged you into the lives of sisters, Rachel and Evie. Listening to it on audio, I loved the accents of the narrators and can still hear the characters in my head almost a week after finishing it. A very enjoyable book, which I'm afraid this short review isn't doing justice. I highly recommend this thriller, especially in audio. I thoroughly enjoyed listening to this story, which was very engaging and me guessing throughout as to how it would all end. I thought it was a very well written and the characters were all well developed. I was fairly surprised by the ending and thought it was done well. Writer Rachel returns from a successful book tour to unwelcome news: her younger sister Evie is in a coma as a result of a car crash. Rachel pieces together Evie's more recent life, finding it to be very different from what Evie had been telling her. The story is told from two points of view, that of Rachel who is worried about Evie, heartbroken after a recent split from her husband and confused about elements of Evie's life previous to the crash. Evie is coming to the surface of consciousness a Writer Rachel returns from a successful book tour to unwelcome news: her younger sister Evie is in a coma as a result of a car crash. Rachel pieces together Evie's more recent life, finding it to be very different from what Evie had been telling her. The story is told from two points of view, that of Rachel who is worried about Evie, heartbroken after a recent split from her husband and confused about elements of Evie's life previous to the crash. Evie is coming to the surface of consciousness and has to warn Rachel. Will she be in time? What a fantastic debut novel by Bernice Barrington. A real page turner with well developed and realistic characters. The plot is enthralling throughout and the way in which mental illness - from its most basic to severest form - is expressed and analysed, provides the reader with a genuine opportunity to better understand the issue. Really looking forward to the next instalment! All the f.. words just don't do it for me. A bit too obvious from the beginning, not enough twists. Audiobook. I enjoyed this book although a few minor discrepancies noted in continuity. The girl's accident happened in a Porsche but the owner was previously said to own an Audi!??? Pretty good and fast read! I can see why it was one of the only options of an English section in a Chinese bookstore because it isn't good enough to know everyone has read or heard the story, but was still a great read. It does keep you guessing about who the culprit is, while leading up to a conclusion I for one didn't see coming. This was another audiobook I heard while on vacation, and while it started rather slowly, it ended up being rather good! I did enjoy the past day -present day back and forth, since it was easy to understand what the author hoped to accomplish. I will be looking to read/listen to more by this author. It got better, but the beginning and writing style jumped too much to thriller with no real reason and that lessened my enjoyment. It felt like the author was deliberating trying to create a tension that the action until that point didn't justify. The characters got much more interesting in the final quarter of the model though. 3 1/2 stars. Not awful but not great either. I found it hard to separate the two voices of Rachel and Eve and there wasn't really any sense of tension and suspense until the very end. It all just muddled along for the most part and the part about Rachel just happening to know a private detective in America seemed far too convenient and far-fetched. Audio version of this book- listened to 4hours but nothing happened! Gave up! !